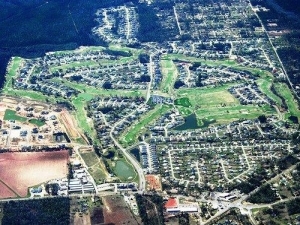 There are 4 residential real estate listings for sale in Pace. There are 1 commercial real estate listings for sale in Pace. 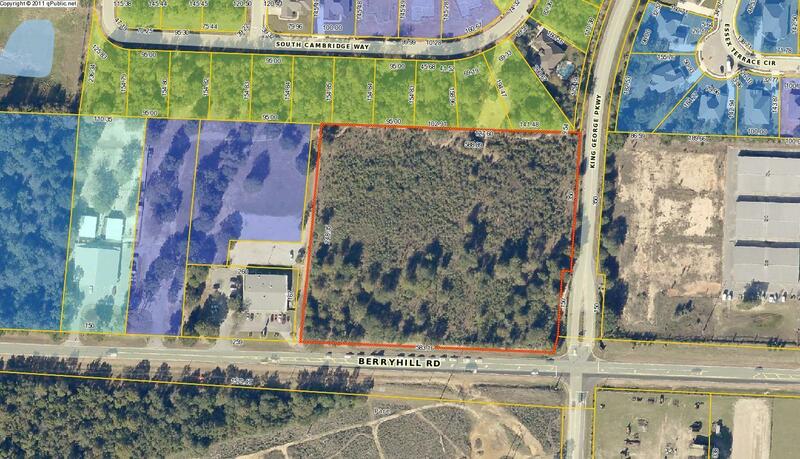 There are 0 vacant land real estate listings for sale in Pace. There are 5 total real estate listings for sale in Pace. 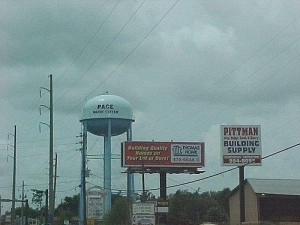 Many people from the area found several reasons to settle in Pace. Even though there has been a huge population growth in the past few years Pace still has a welcoming atmosphere and a relaxed hometown feel. Many families find the area to be appealing, because of our outstanding school system and excellent athletic program. Pace has all of the amenities of a “big” city without all the hassles. And Pace is conveniently located in between Milton and Pensacola. Between the Pace Area School FCAT scores, Pace High Band, and Pace High Navy JROTC the Community has reasons to be proud. Pace High School students’ hard work and dedication has once again paid off. Pace Schools along with other Santa Rosa County schools earned the highest FCAT scores in the state in 2003. The Pace High School Band went to National Competition at the Cotton Bowl and won one first place prize and two-second place awards. Pace High Navy JROTC was also recognized as best in Military Leadership in a worldwide competition, which will prepare the students to be community and military leaders. Due to the explosion of population growth the Pace Area has attracted additional doctors and expansions of medical facilities. With this growth the need for shopping and entertainment has been in demand. To answer this Wal-Mart, Home Depot, Ruby Tuesday’s, Ryan’s Steakhouse, and Village Inn just to name a few have stepped up to the plate to provide a well needed service. Recreation and entertainment are both high priorities in the community. The Pace Athletic Recreation Association has recently completed an addition to their sports complex, which includes a variety of organized sports other than soccer. A state of the art bowling alley has recently opened and a movie theater will be opening this summer. Along with the new Benney Russell Park, construction will soon start on an additional garden in memory of Kathy Russell. One of the favorite entertainment spots of the locals is the Farmers’ Opry House. The Farmers’ Opry House provides dinner with a live band for a minimal cost. Another way to enjoy the Pace area is to participate in different festivals throughout the year. This year’s Pace Festival Days located at Pace High School and the Blue Grass Festival at the Farmers’ Opry House were both held in April. The Santa Rosa County Creek Indian Tribe, Inc has a two day Indian Day Celebration the weekend before Thanksgiving every year at Floridatown Park. This just names a few of the festivals and activities that Pace has to offer. Even with the hustle and bustle of a growing community, outstanding schools, and numerous recreation activities Pace has stayed true to the charms and friendliness of its earlier days. Come see what it is like to visit or live in a place that you will be drawn to year after year.